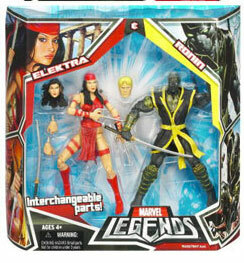 Description Of Item: Hasbro Marvel Legends 2-Pack: Elektra and Ronin. Each 7-inch scale figure is highly articulated and poseable, and is compatible with previous Marvel Legends releases. Collect them all, each sold separately.